On the northern edge of the Silicon Valley in Fremont, tucked behind a narrow suburban road is a mystical space open to anyone who wants to connect with God, even Salaffis. 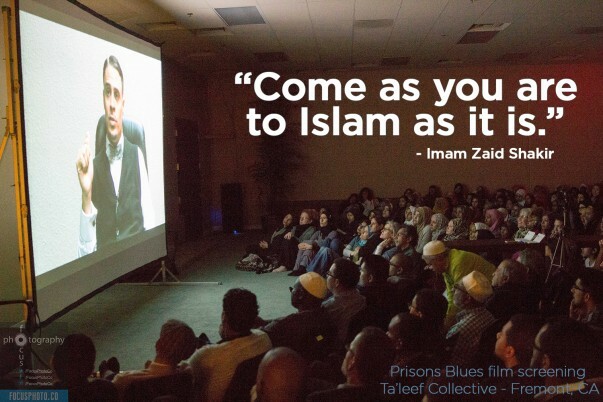 Taleef Collective launched in 2005 has become a thriving hub for young Bay Area Muslims of different sects, genders and identities. Unlike many mosques, women can wear a headscarf or bare their hair. Both genders sit in the same room albeit on different sides. Children, music, questions and emotions are all welcome. The Islam preached here is rooted in Sufi philosophy. They also host social events, movie screenings, and commemoration of Muslim holidays. On a balmy fall night last year, about a hundred people filled the muted green painted room. Men in skullcaps stood in front of a microphone singing religious hymns. A woman with fine wrinkles and slender fingers served each worshiper on the floor mint black tea and heart-shaped cookies from a silver tray. Another woman circled around the worshipers a tray of fuming rue, an antiseptic, to cast away evil spirits, filling the room with the scent of burnt wood. One of the performers at the mic drummed on a tambourine. A little boy with chestnut curls lifted up his mom’s burgundy skirt and hid under it. A small, slim girl saw him and laughed. He flashed her a mischievous grin and gestured her to shush. A woman with tight jeans and a fitted sweatshirt tossed her brunette locks around her shoulder, her eyes closed swaying in rhythm to the voices praising Allah. On another night, the spiritual leader of Taleef, Usama Canon, sat in a chair facing a roomful of Muslims sitting on the floor. Cannon in a tweed jacket with hair parted in the middle told worshipers that they’re not spiritually superior to anyone else. His sermon encouraged a practical path to life. “Some people are so blinded by spirituality that they are dismissive of reality,” he said. A woman in a headscarf sat in front of Canon with an open laptop. She asked if women could listen to their Quranic apps on their cell phones while they were on their period. Women are forbidden to pray during their period according to most Islamic interpretations. Chuckles of agreement rippled among the crowd. Taleef has launched a Chicago space and may expand in response to its popularity.